I’m from Australia & currently live in Sunshine Coast, Queensland. I usually work in my home office. Before I came into ‘VAhood’, I worked for the Queensland Government in training and project management roles training people in using electronic databases. I’ve always been a bit of a techie. At college, I was working as a computer trainer and then it became my first proper job with the same college when I left study. In fact, I enjoyed it so much that I have a goal to reignite that passion for computer training sometime down the line. I decided to become a VA because I was made redundant! I had actually never heard about VAs previously until a friend told me they used one. I knew then that this what I wanted to do so I could work from home when the kids were at school. I was actually happy the redundancy happened. When everyone knew it was going to happen (20,000 people were losing their jobs), I had kind of started the business – so I was ready. Prior to being made redundant, I was in a well-paid job with a fixed income. So, when I started my own business I definitely had fear and uncertainty around income. I found it unsettling. I also suffered from ‘imposter syndrome’ knowing that I was new to the VA world and that there were lots of other more experienced well-reputed VAs out there with established businesses, great websites and client bases, and I worried if I could compete or indeed even be able to win clients. I knew I had to overcome these challenges, so I took some training in becoming a VA and did some of the VA Classroom courses. I began actively networking with other VAs at specific events, and I went to the BNI (Business Network International) meetings and got talking about my business. It was hard, but I pushed myself to do it. That was all good and immensely helpful in building my reputation and confidence. I also joined a couple of the main Australian industry associations such as AVAA (Australian Virtual Assistant Association) and attended their annual conferences. That’s when I got to know a lot of other VAs and industry people like coaches and mentors. I started to subcontract for a few of them and gained valuable experience. During this time I developed my own processes, set up my own work templates and began to establish myself. At present, I have 15 clients – on a weekly and fortnightly basis. And 10 ad hoc clients that need tasks, such as editing, etc. My favourite client right now is…I don’t have just one (laughs), but in general, it’s someone who doesn’t micro-manage. I am systemised and adhere to deadlines and always meet the agreed Service Level. It’s someone who trusts me to run with it. And it’s also those who pay on time (laughs). On weekends or when I’m not working, I enjoy them with my two children aged 7 & 9. We do the usual family stuff together – things like going to the beach or camping. My husband has Pancreatic Cancer so we want to spend as much time together as a family creating good memories for our children, as he may not see them grow to maturity. During the week I try to go to the gym every day for some downtime. It’s great for a bit of social interaction and for my mental well-being. My tips for VAs starting out or contemplating to jump into the VA World…listen to the cool audio snippet Lyndal has created for us here! Lyndal Harris is the Podcast VA who works her magic to make your podcasting journey easier. She’s been a business owner and Virtual Assistant (VA) for over 6 years. 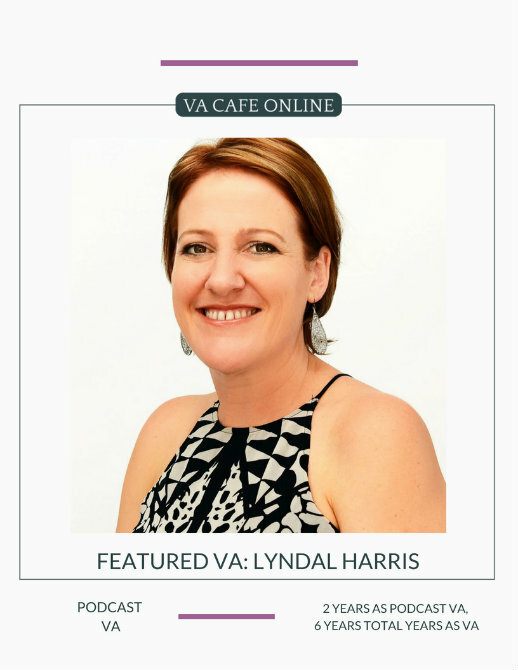 Lyndal has combined her experience supporting clients virtually and her love of podcasts to create the first Australian VA business to niche into podcast support services. The founder of Podcast VA, she now runs a team that makes your podcasting easier. 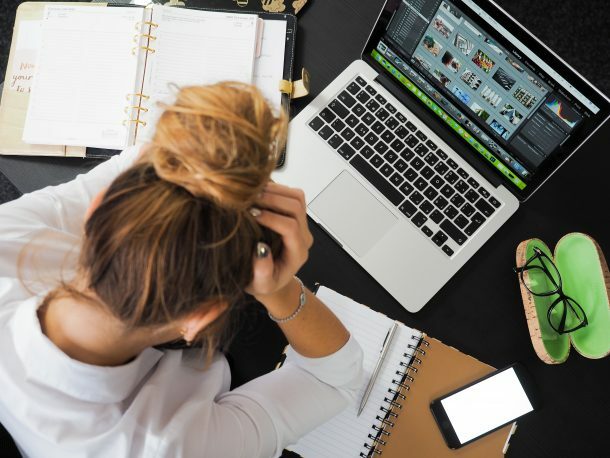 They reduce the stress and overwhelm that comes with project managing all of the different elements of your podcast by offering various services to help you launch and maintain your amazing podcast.